Best of luck to everyone as draw results begin to emerge, and plans begin to develop for the 2018 hunting season. We have big plans, some slight changes, and some general news we’d like to catch everyone up on. Thanks to every one of you that has supported us over the last year. We are excited to continue to provide the highest quality backcountry friendly foods that we can produce, and continue to improve upon their ease of use and backcountry efficiency. We’ll be at all three NW Mountain Challenges this year, and look forward to seeing everyone. Unfortunately, we will miss a lot of you at the Backcountry Hunters and Anglers Annual Rendezvous in Boise. We are sorry to miss the event, but it’s tarpon season in the Florida Keys, and we will be heading down with Bonefish Tarpon Trust (BTT) to film the tagging of as many tarpon as we can during a local 3-day fly fishing tournament. The footage will be used by BTT as part of their efforts to educate the large amount of commercial and recreational users of the Florida Keys fishery, and the important role that these fish and the shallow flats ecosystem play from the Everglades to the deep ocean. Word has it that the fish are there, and the tagging boat will be ready to have some fun with doing our part on some hands-on conservation efforts! PRODUCTION UPDATE: We are in the process of revamping all of our labels to contain nutrition facts and scan-able UPC codes for our retailers. We expect a few of our products to BRIEFLY go out of stock as we make some of these changes in the next few weeks, and we appreciate your patience in advance. As always, we encourage you to stock up and prepare well in advance of your departure but should last minute plans arise, please leave a note in the comments section at checkout that contains your departure date, or any alternative shipping destination, and we will make sure your order gets out in a quick manner. We have some new bars in the works, and may discontinue our current fuel bars. Why? Packaging. We are not happy with the bulk packaging of the bars and their tendency to lose structural integrity. DON’T FRET! We are working on finalizing the packaging for a full meal replacement bar, they will be individually packaged for size efficiency and pack-ability. These are not your average dry, crumbly, bland, syrup heavy, blend of powders bar. As with all of our products, they will be made with real food, ingredients that are easy to read and pronounce, and won’t leave you feeling like a bag of bricks, a sugar fiend, or like you just ate a dog treat. They’ll be available after another round of testing and packaging finalization. Stay tuned. UPDATE ON DINNER MEALS: When will dinner meals be available? Question of the year. Good news and bad news. Good news; we have been fully licensed to sell freeze-dried meals within Washington State. We will be conducting a pre-sale, with a LIMITED AMOUNT of our first batch of hand-crafted freeze-dried meals. We anticipate meals will be available to the rest of the U.S. later this summer (bad news, but not too bad). Our first batch of meals will be sold in a 4-pack containing one of each variety in first line-up. ALL OF OUR MEALS will be crafted and freeze-dried in our facility, by people, in small batches to ensure vital attention to the fine details of cooking that produce a high quality product. This may limit availability, but our commitment to our craft is of the utmost importance to us. Please stay tuned as we prepare for a BIG ANNOUNCEMENT of our first pre-sale in May 2018, with delivery of our first batch of meals in July. WE APOLOGIZE, THE FIRST PRE-SALE WILL ONLY BE AVAILABLE TO WASHINGTON SHIPPING ADDRESSES ONLY!!! For those of you outside the Evergreen State, phone a friend, make a road trip and come pick an order up, or come up and see us at the NW Mountain Challenge in Stevens Pass! We will have limited meals available for sale at the shoot that will not be a part of the pre-sale. Your support and feedback on the first round of meals is essential for our ability to create more offerings to more people. Please help us to spread the word, and share this with your hunting partners, fish’n buddies, and fellow adventure fiends. We look forward to hearing about your time in the field, and are proud to provide valuable, and reliable products to #fuelthehunt. This entry was posted in Off Grid News and tagged backcountry, Backpack hunt, Bonefish Tarpon Trust, Fishing, fly fishing, freeze dried meals, Freeze-dried, Hand-Crafted, Hunting, Meals, mountain hunting, Off Grid News, Small-Batch, Spring 2018, Tarpon. Your freeze dried meals…do they have to be kept in a cold container? Or can they be useful in back packing for six months? What do you recommend to feed six maybe closer to a year? Hey Jeanette! The freeze dried dinners are shelf stable for 25 years plus. We put a 10 year shelf life on them for maximum freshness. We do recommend storing for long term in a dry dark cupboard or bin. Oatmeals and trail mix have alot more fresh ingredients in them and are not Freeze dried so the oats have a 1 year suggested shelf life and the trail mixes 6 months. Our goal is to have everything last long enough for a substantial outing or time on the road. In our case, to last hunting season! 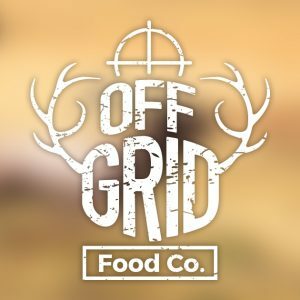 Shoot me an email at Spencer@offgridfood.co if you have any more questions. Thanks! We recommend out products be stored out of direct heat and sun until your’re ready to pack em’ in! Any cupboard will do, I put my personal stash in my meat cooler in my garage. Hope that helps and sorry for the late response! We are Hunters. We are gatherers. We are fisherman, adventurers and explorers. We opt for a deeper sole to soul connection to our wild places and its inhabitants. 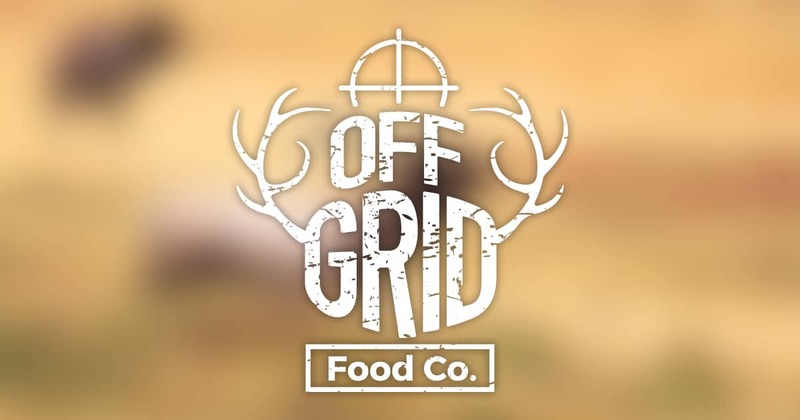 We are Off Grid Food Company and we are are here to #FueltheHunt.